a whole new way of building a positive future where you live. The Community Game is an inspiring two day training event that upskills you in the best tools available for building thriving 21st century communities. It takes real life local community betterment projects and social enterprises from concept to reality, by teaching you the latest tools in: project management, collaboration, and new economics! Centered on action, innovation, and inspiration, it's an unparalleled opportunity for people to take a giant leap forward to make life better for everyone. It's real. 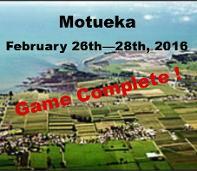 It's intense, hands-on, fast-paced and fun! Throughout The G ame, you will be treated to an array of inspirational vignettes both historical and modern powerfully demonstrating the full potential of 21st century collaboration tools to make a better world. Ignite your imagination with the possibilities made available by collaboration. We have advanced Amish barn building capability ready for us to develop our modern communities. The Community Game experience catapults you forward in your use of these tools. So climb on board and take a tour of top community collaboration stories from around the world! You won't want to get off! of the tools presented to upskill the whole room! Everyone benefits. Money Unlimited!!! unleashing the power of the WEVe! your group projects being developed during the event. you will know what to do with it. things done and make things happen in the place where they live or in the larger world. Business, Agriculture, Environment & Habitat, Government, Media & Entertainment. · Have a fun, productive weekend. everyone can be successful regardless of prior knowledge, age, or background. relationships that last long past the weekend. During the weekend working alongside awesome people who share your ideas. The Community Game is fun and entertaining, so enjoy it. Do you think that one of your ideas can change your town or have a positive impact on your group of people? Bring your idea notebook with you and start making a positive change in your local community. give 21st century economics a try. By participating in The Community Game, you are given instant access to new economic models foryour community. Expect to leave with full pockets! The Community Game offers a powerhouse of learning for a very affordable price. We accept barter and local currencies. No one turned away for economic reasons. 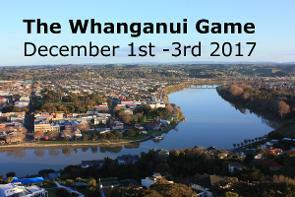 The Community Game is hosting events all over New Zealand and the world.